Posted on February 11, 2019 | Comments Off on We look forward to helping you find your Shelter Solution! reduces the need to sweep your pool as often. Enjoy swimming without the mosquitoes! The typical package is sold with a double clear cover and a roll up side wall kit. The structure can be fastened directly to your deck or anchored beside the concrete. Consider placing the structure off center to create extra walking/lounging space along one side. Swimming Pools as Season Extenders & More…. 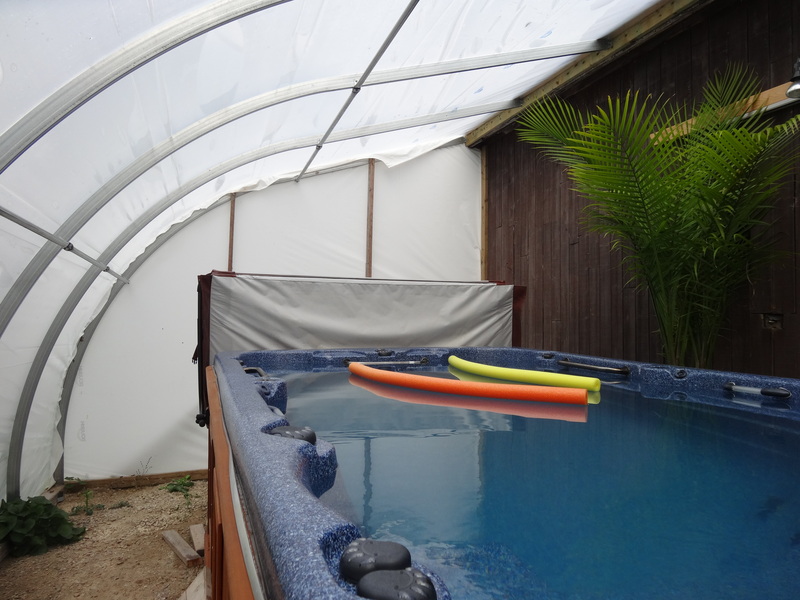 Installing a greenhouse over a swimming pool is a cost effective and simple way to significantly increase the use of your investment. Even with an unheated pool, you will be extending the swimming time by a minimum of three months. This is accomplished due to the greater heat efficiency which is created by the double poly cover. During the swim time you will have up to 75% decrease in chlorine use and a 75% decrease in sweeping time. The roll up sides will make the temperature comfortable during the day time with adequate ventilation. By closing the roll up sides in the evening you will eliminate the cool evening breezes and control the bugs. 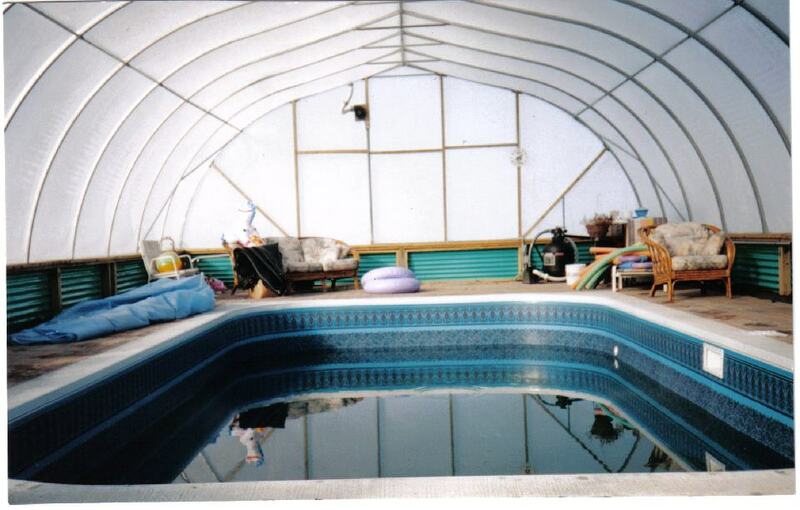 With the wide variety of shapes and sizes available, almost every pool can be covered. The experience can be further enhanced with adding a spa or change house area. A wide variety of ends are available depending on the aesthetics or requirements. Welcome to our brand new home on the web. Here you will find information about upcoming tradeshows, sales and promotions, featured products and new videos….The pages contained in this site have even more great info than before & we hope you find it useful! Please feel free to leave us a comment or send an email if there’s something particular you’d like to see in the upcoming months. We love to hear your suggestions! Thanks so much for stopping by & we look forward to helping you find your next shelter solution!